I would like to introduce to you my charming apartment at the heart of a high-end residence. Ideally located, in the middle of the ski resort, it offers 3 rooms accommodating 6 people. All comfort is available, with a large living room for your evenings among family or friends! Renovated in 2012, the decoration is looked after to make you feel perfectly at ease. Enjoy the view of the slopes from the balcony. My apartment is located in the very centre of town, with all shops very close. It also lies at the foot of the slopes. A garage is available, a security deposit required. superbe appartement - salon spacieux, décoré avec goût et avec une belle vue sur la montagne. "Nous avons beaucoup apprécié la location qui est confortable et se trouve dans un quartier calme. Le séjour est plus joli et plus douillet que dans d''autres appartements. Bon contact avec les propriétaires qui se soucient de l''équipement de la maison et des rangements. Beau balcon ensoleillé avec une vue superbe. Une adresse à retenir." The closest railway station to Val Thorens is situated at Moûtiers-Salins (37 km). Shuttle bus or taxi services to Val Thorens are available. By road, the D117 gives access from Moûtiers. 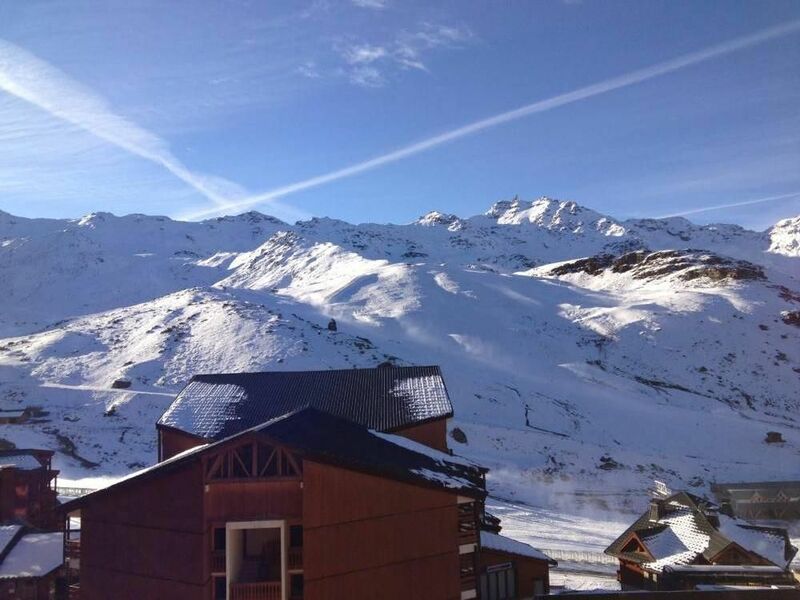 All of the winter activities are available at Val Thorens: skiing, sledding, snowshoe hiking, after ski. The highest ski resort in Europe is embedded in the skiing area of Three Valleys, the largest skiing area, which has 600 km of linked slopes. Ski-in/ski-out. In summer, during the beautiful season, you can enjoy all of the wonderful nature surrounding the area and all of the mountain activities! Abundant restaurants allow for tasting the local cuisine.